If you are fascinated by museums and have affinity towards history and antiques, then pursuing a degree in Museology can sharpen your passion with formal education. Museology is an associated subject of Archaeology that teaches museum organisation and administration including documentation and research, exhibitions, conservation and museum security. After pursuing a Master’s degree in Museology, one can explore career options as curators, documentation experts, professors etc. Students can also pursue PhD and work in diversified fields including Archaeology, Art History, Anthropology, Management and cultural heritage. “The number of seats and institutes for Museology are limited, only people with an interest and background in similar fields are aware because it is not yet in the list of mainstream careers,” said Sanjay Jain, head, department of Museology, University of Baroda. National Museum Institute, New Delhi offers 15 seats for MA in Museology, for which the institute receives more than 150 applications every year. Other universities including Rajasthan University, Jammu University, Banaras Hindu University, University of Baroda offer diploma and degree courses in Museology. Leather goods designing is one of the fast-growing fields under the umbrella of Fashion Designing, in India. A lot of products including footwear, belts and bags are manufactured in India and exported to foreign countries, because of which there is a high demand of human resources in the industry. “Most of the students are familiar with fashion designing but not many people know about the different specialisations available. It is mainly because most of the institutes offering such offbeat courses are government institutes which do not indulge in marketing,” said Basumitra Ghosh, head, department of leather goods and accessories, Footwear Design and Development Institute (FDDI), Kolkata. One can become a production analyst, merchandiser, designer and also work with world famous brands like Prada and Gucci. Government College of Engineering and Leather Technology, Kolkata; Karnataka Institute of Leather Technology, National Institutes of Fashion Designing (NIFTs), Central Footwear Training Institute, Agra, are some of the institutes offering leather goods and accessories designing courses. University of Mumbai offers a four-month long Certificate Course in Puppetry. The course was introduced five years ago and still remains the only course in puppetry across the country. The course syllabus includes history of puppetry, puppet doll-making, writing scripts, modern puppetry, performing plays and folk tales. 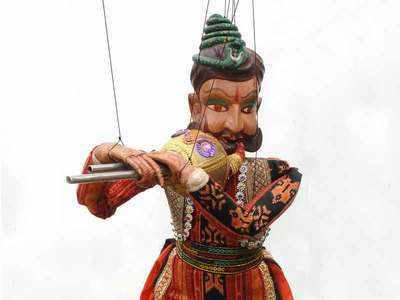 “In India, Puppetry is a dying art form because people’s mindset does not allow them to think of puppetry beyond entertainment and they fail to see the scope of puppetry in the fields of teaching, social work, counselling etc,” said Meena Naik, who heads the course at the University. Puppetry can be clubbed with a number of streams like puppet therapy in counselling, language development, social work, theatre. The course will commence in August, for this year.